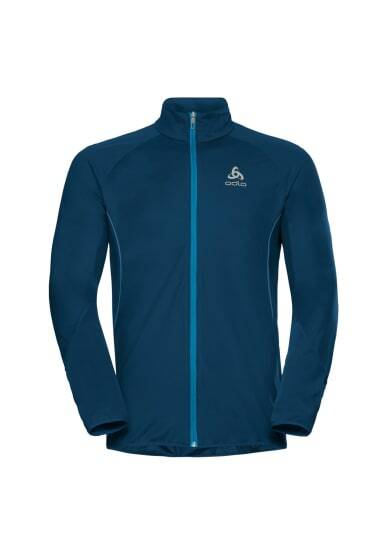 Raise your game even when the weather is raising hell with this ultra lightweight softshell jacket that features advanced body mapped construction. Body-mapped ventilation and windproof zones help you to stay cool when you're working hard, without cooling off. Design details include an articulated collar, technical cuffs and zippered pockets for stashing your stuff. Reflective detailing provides great visibility in low light conditions. Designed to deliver the breathability, stretch and comfort of a softshell combined with the lightweight windproofness of a hardshell, the Zeroweight Windproof Warm jacket is a truly versatile technical jacket that's so light and packable, you won't want to leave home without it.